To Receive A Concrete Removal Estimate in Sacramento, CA Call Today! Here is great news for the dwellers of Sacramento area in the most happening capital city of California! Monsters Concrete Removal Sacramento, a full-fledged concrete service company, is here, at a call away for all your concrete-related services in the Sacramento area. Are you rummaging around for the best in concrete removal service Sacramento CA? No more waste of time in searching as here’s where you can get incredible service in concrete removal Sacramento. Read on to know why we are tagged as the best in Sacramento concrete removal service. 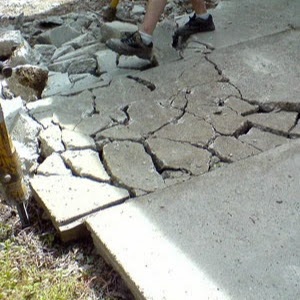 We offer our clients reliable services, when it comes to concrete removal Sacramento. Our services are available throughout the Sacramento area, without considering the size and intensity of the job. Clearly, it makes us a sought-after name in removal of concrete Sacramento. Be your concrete or masonry of any kind, our expert workers will make it an easy task to break it. We give utmost respect to client satisfaction and it reflects in the service we offer to our clients. Our superior service includes concrete breaking, masonry removal, concrete demolition, concrete removal and concrete hauling, to name a few. We have the best of equipment including modern machinery and workers knowledgeable of up to date methods to give you incredible service. The best part of hiring us is that once you give us the contract, you need not worry about anything further. We are equipped with the latest machinery and highly skilled laborers who are dedicated to providing you with the best of services, in concrete removal Sacramento. Furthermore, you do need to worry about the disposal of concrete waste after demolition. Our services include cleaning up all the mess created while removing the concrete so that the client does not need to be bothered about the waste disposal. However, we will never give you additional cost on grounds of waste disposal. Instead, you can be assured that our concrete removal service includes the cost of disposal as well. Why Remove Concrete with Monsters Concrete Sacramento? 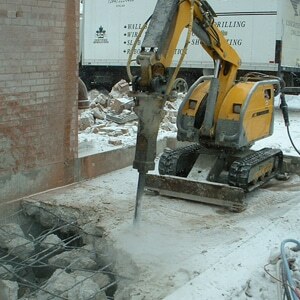 Why Remove Concrete with Monsters Concrete Removal Sacramento? We, at Monsters Concrete Removal Sacramento, have proven our services are the best that is available in concrete removal Sacramento with the professional expertise of our unparalleled team. Our workers are highly skilled, better informed, thoroughly trained, courteous in behavior, and experts in concrete removal services. We assure you timely completion at affordable rates and superior service in anything related to concrete removal service Sacramento. When you want to assure reliable concrete removal service from the best available in town, keep in mind that Monsters Concrete Sacramento is just a call away. You can call us even for simple concrete cutting or removal, as it is always difficult to do such difficult jobs all by yourself. No matter what the size of the job is, we are here to help you with any of your needs related to concrete floors and slabs. 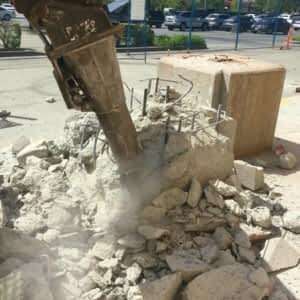 Get in touch with us anytime for a free quote or advice related to concrete removal service Sacramento, and we would happy to give you any information and provide you our services. We look forward to giving you the best concrete removal service Sacramento, whenever you are in need of it in your commercial or residential property.